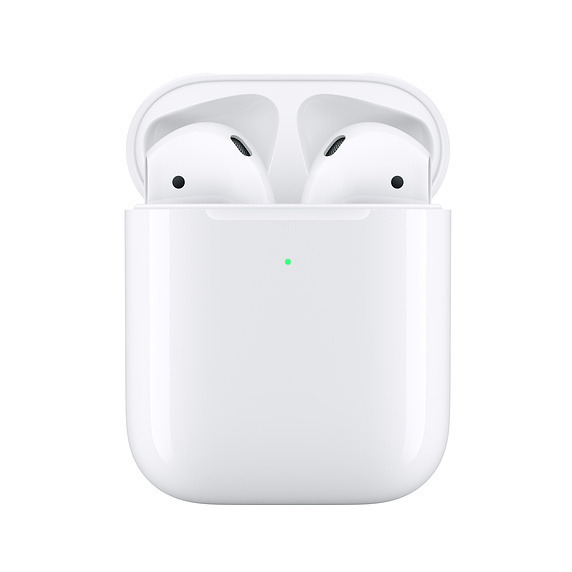 Apple's second-gen AirPods in the Wireless Charging Case. The buds will have Alexa built-in and ship as soon as the second half of 2019, Bloomberg sources said on Thursday. They're expected to "look and act similar" to AirPods, complete with a charging case, but feature a stronger focus on audio fidelity. Black and gray colors may be on offer. Both Apple and Android devices should be supported, which could increase the buds' appeal. AirPods technically work with Android but lack key functions on that platform. Most common Alexa commands should work, such as music, weather and even Amazon orders. There will also be gesture commands, for instance tapping to answer calls or switch songs. The project is said to be one of the most important at Amazon's Lab126 hardware division, yet it has been saddled with delays. One source indicated that Amazon has been searching for suppliers and manufacturers in recent months. Fully wireless earbuds are now a de facto part of the headphone industry in no small part because of AirPods. Estimates suggest Apple's product accounted for 60 percent of all fully wireless earbud sales in the December quarter, with Jabra's fitness-focused Elite Active 65t coming a distant second. Apple recently announced its own all-wireless fitness option, the $249 Powerbeats Pro. Amazon could use price to eat into Apple's marketshare. The company is known for undercutting competitors on hardware, since it can easily turn a profit through services.